Possessing a healthy appetite for metal on the live front since my indoctrination in the 1980’s, it’s never mattered to me whether I gain my fix at a national, large theater/arena venue or in a small, intimate bar setting. Or if the bill consists of the biggest band in the land versus a strong slew of local acts. 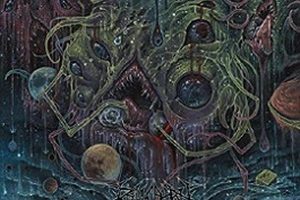 Quality trumps all these days – and when my brain and body need a great pummeling, there’s nothing better than seeking out Boston’s technical thrash/death masters Revocation. Moving up the ranks quickly after issuing their debut album Empire of the Obscene in 2008 to Relapse Records, the band would record three albums for the label and gain the opportunity to tour the world, playing for crowds small and large, opening for acts as diverse as Forbidden, Chimaira, Job for a Cowboy, Havok, and Children of Bodom. 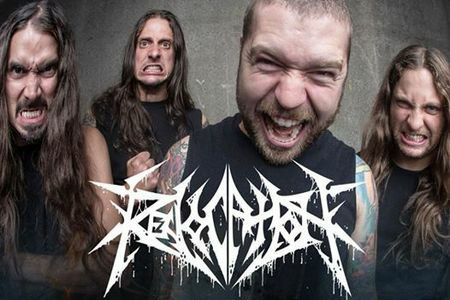 Testing the waters after fulfilling their obligations, Metal Blade made Revocation an offer for a new contract, and in the fall of 2014 will release their latest studio album Deathless, a record that guitarist/vocalist David Davidson is very proud of. The new record appears to be a little more straightforward than early efforts, while also maintaining the propulsive drumming and guitar twists/turns that have become trademarks for the group. Given the current tumultuous economic, religious, and military/terrorist activities that are on the eyes and ears of the world, one suspects David finds plenty of lyrical fuel to have the word energy match the musical intensity.